According to Ashraf Eassa, who covers both Apple and Intel for The Motley Fool, Srouji is not a candidate to take over for Brian Krzanich, who resigned as Intel's CEO in 2018. Krzanich departed the company last June after it was discovered he had a consensual relationship with a fellow employee, violating the company's non-fraternization policy. Intel and its board have been seeking a suitable replacement, with CFO Bob Swan currently serving as interim CEO. Earlier this month, Axios reported Srouji was among a list of potential candidates to fill the vacancy. The report did not specify the level of Intel's interest in Srouji, nor did it make clear that the executive would leave Apple for the job. "I've heard that Johny Srouji is NOT a candidate for $INTC CEO," Eassa said in a tweet Friday. "He apparently told his staff that he's not going anywhere." Like the Axios report, Eassa's tweet is vague as to whether the decision not pursue Srouji as CEO came from Intel, Srouji himself or was arrived at mutually. 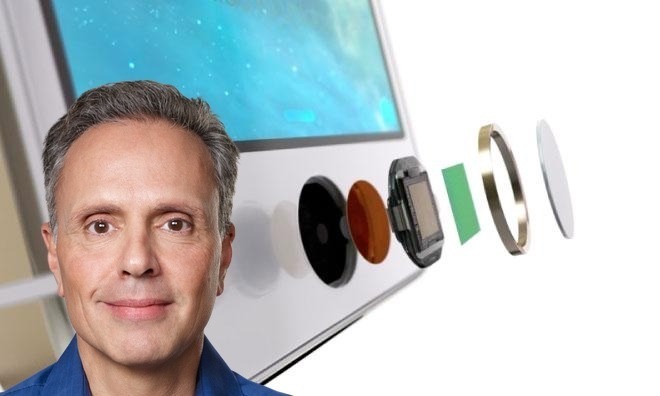 Srouji joined Apple in 2008 as senior director of handheld chips & VLSI (very-large-scale integration), a role that found the chip design guru in charge of developing Apple's A4 processor. Along with A-series system on a chip program, Srouji played a role in creating the first Touch ID fingerprint sensor that rolled out with iPhone 5s in 2013. Srouji is also credited with developing new battery, storage and display technologies at Apple, making him an integral player in the company's various product teams. In 2015, Srouji was promoted to the upper echelons of Apple's executive team as a direct report to CEO Tim Cook. As I said in the other thread, why would he? Intel has been making small iterative changes to their processors for years and haven’t been doing anything exciting. Meanwhile, Apple has made huge advances with their A Series processors and likely has a few surprises left (maybe a MacBook Air with an A13X). If you want to be challenged creating something new, clearly Apple is where you want to be. Their next CEO will need to be someone not afraid of rocking the boat. They’ve been stuck in the doldrums for decades. A processors is Apples strong point, would be foolish to go to a company that has no strong point. Intel should hire some one like AMD's CEO. A Sr VP at Apple is a CEO of most other companies with a business often larger than some competitors. Usually companies lose people like this to competitors since every ambitious senior director level guy wants to be CEO somewhere. And it's not like Apple doesn't lose talent at the lower levels due to poaching. But it's not often that Apple loses a Sr. VP of anything. In other non-news about things people are not doing, I can confirm that I am also not considering the Intel CEO position. A CEO doesn’t do much creating. Srouji was maybe never interested in stepping into such a high profile non creative type of position. I wouldn’t what to be shackled with Intels foundry business. TSMC and Samsung have turned the tables on Intel. I dunno why anyone would be happy that China is beating the US in semi or in Intel slipping. Yes, TSMC is Taiwanese but eventually Taiwan will be part of China again. I wish Apple would go with Intel’s foundry over TSMC but Intel’s focus is performance rather than density. And Intels problem at 10nm was trying to cram too much innovation into 10nm. Dammit Neil! We were rooting for you!! !